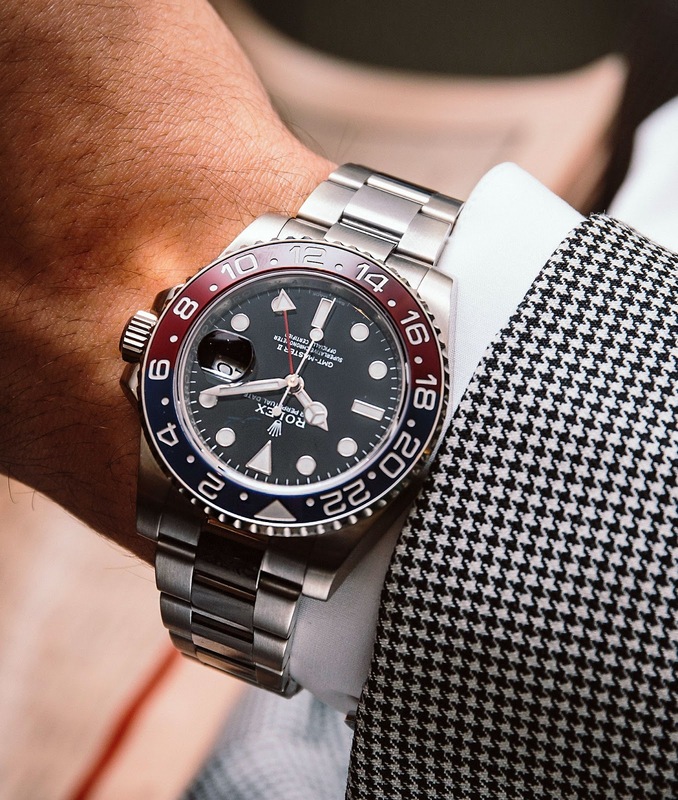 Rolex finally introduced the a Pepsi Rolex GMT-Master with a ceramic bezel insert this year at BaselWorld, and it is one good looking watch!!! This new beauty comes complete with Maxi Markers, fat hands, and a super case. The wrist shot below appears courtesy of the Watch-Anish blog, which offers a daily dose of upscale visual inspiration. In my mind, the Watch-Anish blog offers a cutting-edge style guide and perspective for the modern high-end gentleman–very cool! The Watch Anish website also offers detailed reviews of many cool high-end watches.